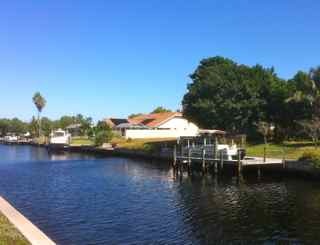 Pictured above: Home on a canal in Cape Coral, Florida. Please note that the newsletter will be taking the 4th of July off - our next edition will be July 11. We will, however, be posting new articles in the Blog, so please check out the site regularly. Destinations, Lennar&apos;s Active Adult community in Sacramento, is now open Destinations, designed for adults 55 and better, features single-story homes with gourmet kitchens and home automation. This gated community offers amenities including a clubhouse with pool, spa and fitness center. Learn more. We continue our series on different states and regions with an overview of California retirement - where to live, taxes for retirees, and prices. This new article also features lists of the 10 most popular California retirement towns and the 10 most popular active communities in the state. Forbes just picked Cape Coral as one of the 25 best places to retire. Its reasons: more miles of canals than anywhere in the world (just about everybody has a boat at their backyard dock), no income tax, warm weather, and average home price at $108,000. Click on a state to see reviews of 853 great retirement towns, plus capsule summaries of 1,775 active adult communities. We are relieved to have read a number of different reports that all point to an improving housing market. That is certainly good news for baby boomers who want to sell the old homestead before embarking on their new adventure. The NAR reported that the sale of all homes rose 10% this April vs. year ago. Prices were also up 10%, to a median level of $177,400. Meanwhile inventory increased slightly to a 6.6 month supply, but well below what inventories were in the depths of the real estate crisis. In addition to being the Cherry Capital, Traverse City is also one of the great lake towns in America. It is situated on the Great Traverse Bay and Lake Michigan, along with the Boardman River running through this charming town. There is a college here as well as plentiful cultural activities. Trip Advisor has named Traverse City one of the best small towns to visit.